It may result in a creative mess but getting kids cooking is a great way to educate them about food & many other things. MESS! That is often the first thing that comes to parents' minds when we mention kids in the kitchen. But what if we look past this small negative and focus on the benefits for their health and transition to life as adults? Look at all of the benefits! When a child or teenager starts cooking they will likely be measuring ingredients out – "½ cup of oats please, 1 tablespoon of soy sauce for that, thanks". This will teach them the different cup and spoon sizes and what is biggest. They will also see what these quantities look like in a recipe and on their plate. Talking to your children while you are cooking together will help them learn about nutrition. Simply asking them why our body needs a certain food, while chopping up vegetables or preparing fish for the oven will help them translate simple nutrition messages to practical skills. It’s amazing what kids already know about nutrition, but cooking with them will help them connect the dots between real food and nutrition. Many kids and teens do not know the origins of food. How does bread get from wheat to loaf? Where does cheese come from? How are potatoes grown? What are the ingredients in processed snack foods such as biscuits and bars? Cooking can help kids and teens to learn about different ingredients and where they come from. Understating food origins is immensely important for long-term health. Knowing where a food comes from and linking this back to basic nutrition principles will help kids make independent choices around healthy eating. This is so important as they start to learn to eat for health to help prevent chronic conditions such as type 2 diabetes, cardiovascular disease and some cancers. 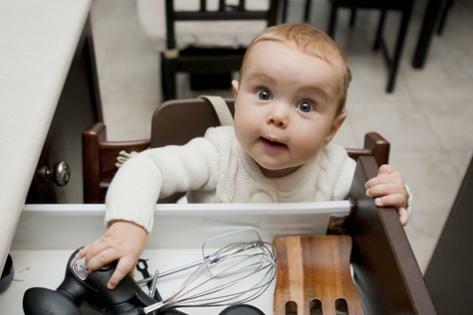 Getting kids in the kitchen will help them explore new foods. They will experience new tastes, textures and smells and start to experiment with different flavour combinations. This will help them to appreciate fresh, healthy foods and of course try new foods. In addition to this subtle encouragement, kids are often proud of the meals that they prepare and excited to eat it. Hallelujah they just tried two new vegetables and ate dinner with the family without a fuss! As kids start to grow an appreciation for good quality, seasonal food they will be less likely to ask for takeaways and other processed, nutritionally poor foods. Even when they are spending the afternoon helping their parents in the kitchen, they generally are not eating junk food. Preparing a meal for the family means planning ahead. Involve your kids in the whole process including planning the meal, shopping for the ingredients and putting the meal together. This will help to develop important life skills, which are critical in order to continue to eat healthy and prepare meals as young adults. The best way for anyone to learn to cook is to give it go. So lets see how we can get our kids in the kitchen! 1. If your child hasn’t really entered your kitchen start small and build up. 2. Start by choosing one meal per week where they can help out. This will create effective hands-on learning and also give the family some quality time to catch-up, chat and work together. 3. The littlest ones can do simple tasks like tearing fresh herbs, mixing spices for seafood and meat, stirring dressings and whisking eggs. Older kids can start to chop, grate and mash. The bigger kids and teens can start cooking seafood, poultry and meat. Combining ingredients such as mixed seeds, cheese cubes and dried apricots and putting the mix into containers or making celery boats filled with a nut butter or ricotta and sprinkled with sultanas or sesame seeds. 5. Use time during the school holidays or quiet weekends to do some fun cooking or baking. 6. Kids love to eat with their hands, so why not try this delicious recipe? They'll enjoy preparing it, and the entire family will enjoy eating it. 2. Heat 1 tablespoon of oil in a large pan over a high heat. Add mince and cook until browned. Break up large pieces with a spoon (bigger kids can do this). 3. Add cumin, paprika, ground coriander, beans and mix well. 5. Reduce heat to low and simmer for 10 minutes. Add some water if the mixture becomes too thick. 6. Combine cucumber, tomatoes, ½ of the coriander leaves and half of the lime juice (little kids can do this). 7. Heat the other tablespoon of oil over a high heat, throw in the corn kernels and cooking for approximately 2 minutes of starting to brown. 8. Add the cooked corn to the tomato and cucumber salad. 9. Heat taco shells in the oven for 5 minutes (wrap soft shells in aluminium foil). 10. While the shells are in the oven, mash avocado and mix through the rest of the coriander leaves and the rest of the lime juice (most kids can do this). 11. Place warm shells on a serving platter, offer all the toppings in small bowls and let the kids choose what they want in their taco. A messy, and fun meal for the family to cook and eat together! Enjoy!